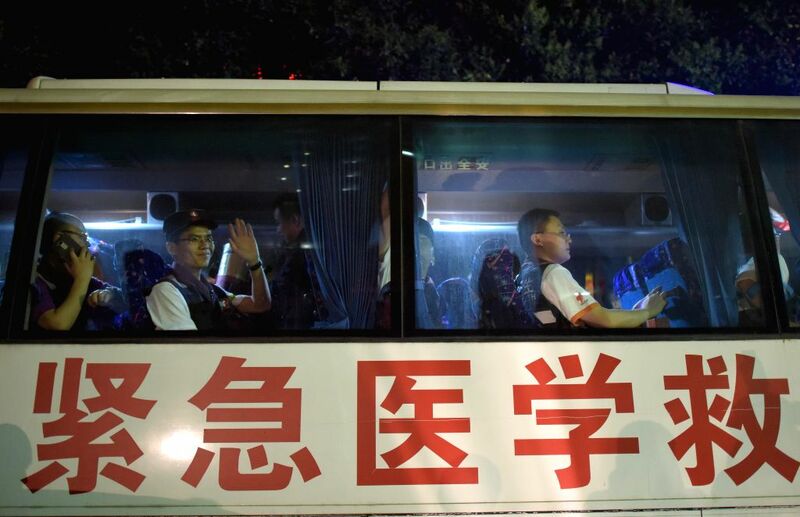 CHENGDU, April 27, 2015 - Members of a medical team wave on their departure from Chengdu, southwest China's Sichuan Province, April 26, 2015. 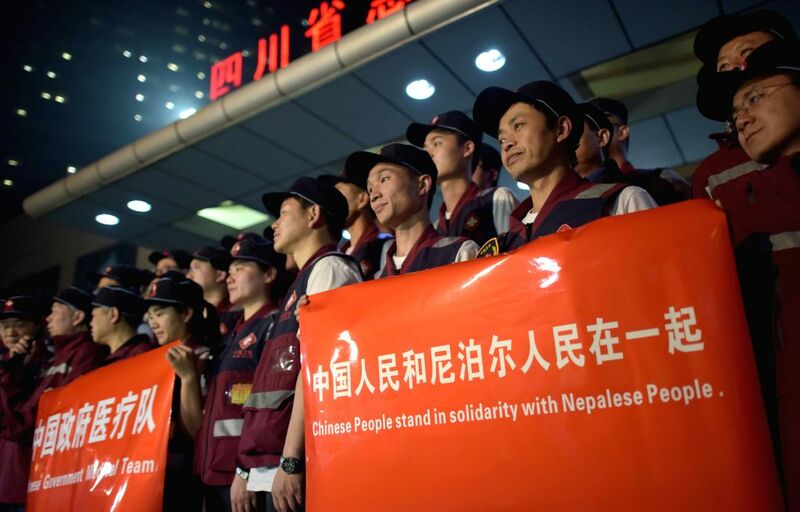 A team made of 58 medical staff departed from Chengdu to Nepal to help with relief work on early Monday morning. Members of a medical team are prepared for departure in Chengdu, southwest China's Sichuan Province, April 26, 2015. 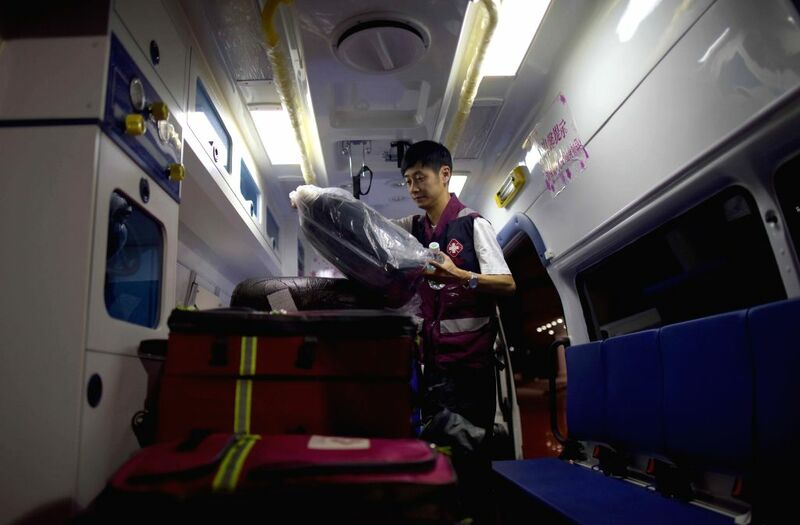 A member of a medical team loads medical supplies in Chengdu, southwest China's Sichuan Province, April 26, 2015.